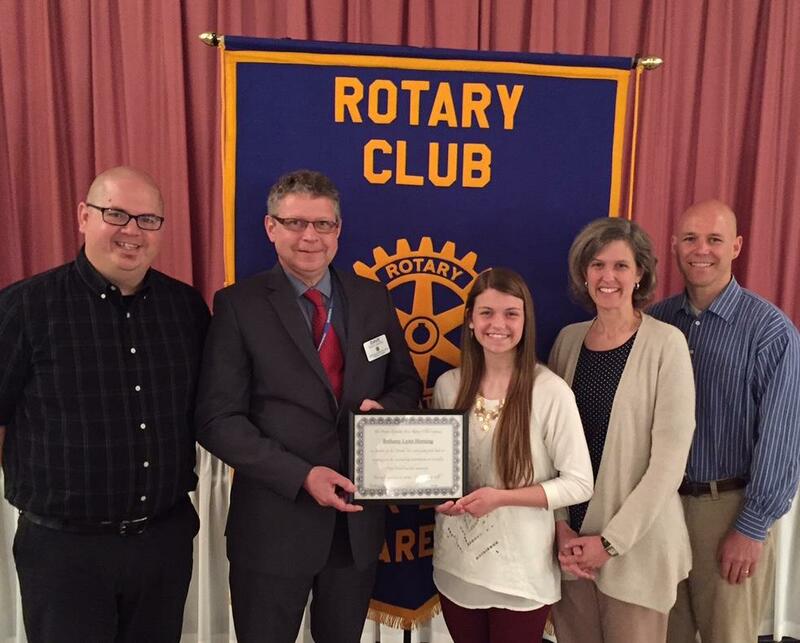 At the April 21st meeting of the Denver-Ephrata Area Rotary, Bethany Horning was recognized as the April Cocalico Student of the Month. Bethany participates in field hockey, Aevidum, yearbook, Army-4-One Bible study and track. She has previously been named a Cocalico Student of the Month for English and Visual Communication Photo as well as being accepted into the National Honor Society. Bethany is a member of Gehman Mennonite Church where she serves as president of the church youth group and a counselor at WoodCrest Retreat. She has also participated in various mission trips including China. Her plans are to continue her education at Cairn University majoring in Early Childhood Education. Bethany lives in Adamstown with her parents and siblings Caleb, Abby, and Anna.